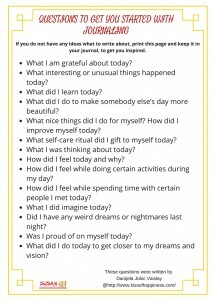 Journaling can be a powerful practice of self reflection, getting to know ourselves more profoundly, as we can observe our thoughts and words and see the things from the other perspective, because sometimes it is so difficult to get out of our head. Journaling can help us to do just that: to get our thoughts put of our head onto the paper. Once we put our painful emotions, thoughts, hurts, memories or fears onto the paper, we release them and we feel free! That is the reason why journaling is very often a part of therapy, counseling, or self-development programs. On the other side, when we put our dreams, goals, visions… on the paper, we get the clarity and we empower them. Any good life coach, success coach or business coach will tell you that if you want to achieve something, put your goals on the paper, note them down, pin them on your vision board, because that’s how you get clear on your vision and what is it that you want. It’s almost like you breath in life into them. If you are on any journey, be it a spirituality, self-growth, making life changes, transiting career, journey of achieving your dreams or you just want to get to know yourself better, journaling can be a very powerful experience. 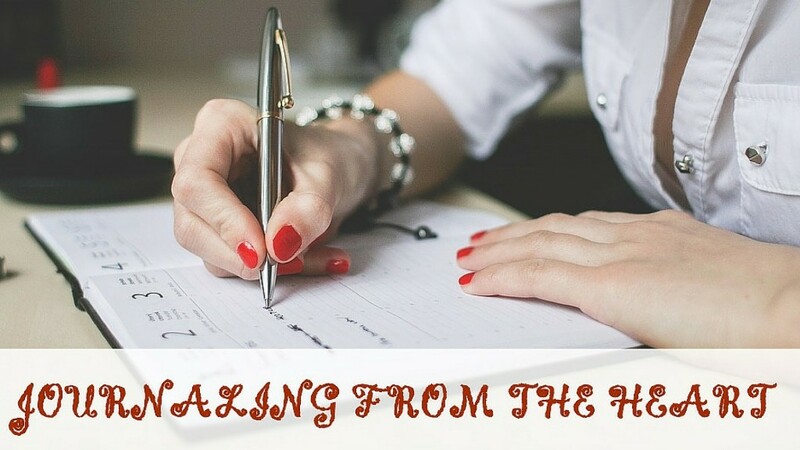 If you feel like starting your journaling practice, you can use these tips to get you started. What I am grateful about today? What interesting or unusual thing(s) happened today? What did I do make somebody else’s day more beautiful? What did I do nice for myself? How did I improve myself today? What self-care ritual I gifted to myself today? What I was thinking about today? How I felt today and why? How I felt while doing certain activities during my day? How I felt while spending time with certain people I met today? What I was imagining today? Did I have any weird dreams or nightmares last night? What I am proud of on myself today? What I did today to get closer to my dreams and vision? WHAT “TYPE” OF JOURNAL DO YOU NEED TO HAVE??? This type of journal is ideal for you if you want to feel more grateful in life and attract more positive vibes and abundance. If you are in any kind of transition or self-growth phase in your life where you are experiencing new things, changing the way you think, feel and act about certain things, having any kind of transformation or want to make big life changes. If you are in love and want to store your beautiful memories, lines, poems you feel inspired to read or write, pics of two of you, pressed rose you got as a gift from him, movie tickets which remind you of a movie that you watched together…). Same way, you can journal about having a baby, your travels, your friendships). This one is ideal for you if you want to write about all the things mentioned above and little creative, plus sharpen your intuition and memory! 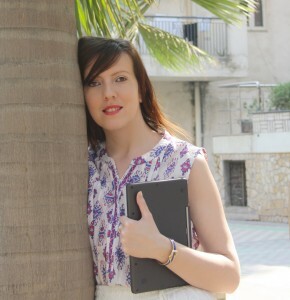 Danijela Jokic Vaislay, is a life coach and passionate writer for Over The Moon Magazine, The Huffington Post India and TUT.com, she is passionately in love with Vedic Astrology, from Europe, currently living in India. She helps women to achieve their goals and live their dreams by using knowledge of Psychology, spiritual principles and wisdom she gained while living in India.